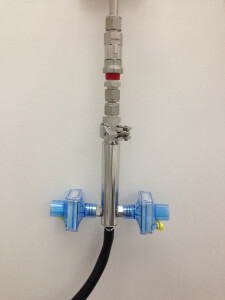 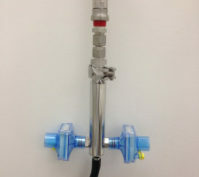 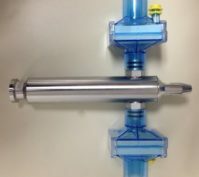 Unique compressed air/gas sampling device, which allows for attachment and sampling of a compressed air/gas system with the use of a unique autoclavable high pressure diffuser, with filtered exhaust. 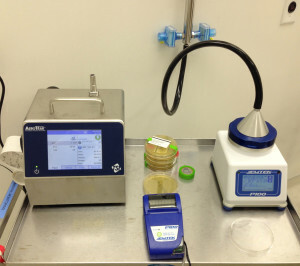 The diffuser works in conjunction with EMTEK’s RCG Compressed Air/Gas Sampler, or P100 Portable Microbial Air Sampler, and laser particle counters for both microbial & total air particulate testing at 28.3, 50, 75, and 100 LPM. 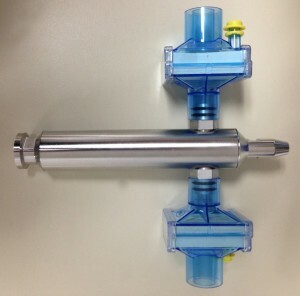 Filtered High Pressure Diffuser Model# EMTEK.HPD2.